Thank you very much for having you buy Morihisa&apos;s iron teakettle. 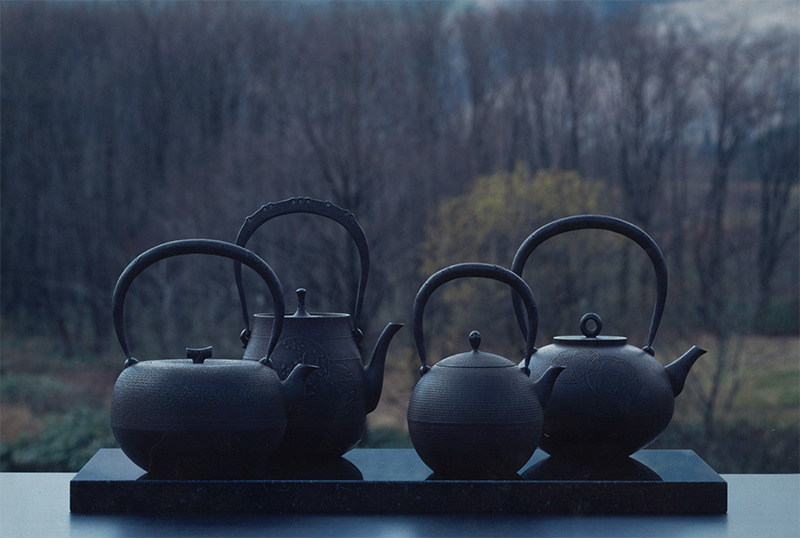 Our studio has inherited the tradition of the Nanbu iron cast object over fifteen generations since it was founded in 1625. 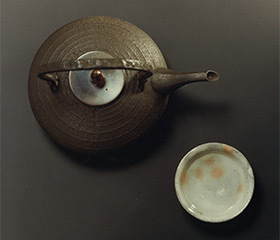 Our iron teakettles are carefully manufactured even today using the traditional techniques peculiar to Nanbu District. Since iron cast objects have incomparable durability, they can be taken over even to the next generation so long as they are used according to the right directions. Please read some directions described below carefully. The longer iron teakettles continue to be used, the more attractive they become. This is the very mysterious charm of Nanbu-Tetsubin. Please love and use your iron teakettle forever. After purchase, when you use your iron teakettle for the first time, it is required to repeat the work of boiling water and throwing it away, 2 or 3 times. When the boiled hot water becomes colorless, you can drink it. It takes about two weeks for an iron teakettle to begin to demonstrate its merits. Therefore, it is recommended during this period that you use your iron teakettle every day. In order to heat an iron teakettle and boil water, of course, it is best to burn charcoal, but you can use a gas range or an electromagnetic range, of course. But in that case, please try to heat your iron teakettle on low. In about the second week after you began to use your iron teakettle, brown spots and white sediment begin to adhere inside your iron teakettle. These are called “yuaka” in Japanese. Yuaka means “hot water dirt” in English. This phenomenon shows that various substances contained in water have overlapped and adhered to many layers. Yuaka does no harm. Not to mention that, yuaka becomes the origin of delicious hot water. That is to say, the work of yuaka deepens the taste of Japanese tea, coffee, etc. further. This is one of the magic which Nanbu-Tetsubin shows to us. Therefore, please never remove it. 1. After using an iron teakettle, it is always required to dry the inside of your iron teakettle in order to prevent rusting. For that purpose, please try the following method. First, empty your iron teakettle and remove the lid while it is hot. Then, the inside will get dry by the remaining heat. Or it is also a good way to dry your iron teakettle by low heat. Be careful not to heat the empty iron teakettle more than needed then. It is important never to leave any moisture in it. 2. In any case, please do not wash the inside of your iron teakettle with detergent, or never rub it with a scrub brush, and so on. If such a thing is done, the tunic inside your iron teakettle will be damaged. 3. Usually please wipe the outside of your iron teakettle with a dry dishcloth. And it is also recommended that while your iron teakettle is hot, you sometimes wipe the outside of your iron teakettle with a dishcloth dipped in green tea. Then, peculiar gloss will be produced on the surface of your iron teakettle. This is because Urushi, Japanese lacquer, is printed on the surface of the iron teakettle. Urushi is an outstanding coloring material which has an anticorrosive effect, but it will separate gradually as time passes. Nevertheless, if you continue to use your iron teakettle, it will begin to show the tasteful color before you know it. This can also be called to be the magic of Nanbu-Tetsubin. When you are going to keep your iron teakettle for a long time, please dry the inside well first. And then choose an airy place and put it without wrapping it in cloth or paper. However, we recommend that you use your iron teakettle at least once a month, if possible. Otherwise it takes you about one week to use your iron teakettle again just as you did before. If you have any questions about how to use your iron teakettle, please do not hesitate to ask us.